Waterloo – The Lazaridis Institute for the Management of Technology Enterprises at Wilfrid Laurier University today announces collaborations with Deloitte Canada and with TMX Group Limited to help deliver on the mandate of the Lazaridis Institute to support Canadian technology companies with the tools, knowledge, and networks to scale rapidly into globally competitive enterprises. The Canadian technology startup scene has been thriving for years. Many small but fast-growing companies are emerging in technology hubs across the country, with the highest density of startups in Waterloo. Too few, however, have scaled into the high-growth enterprises that are necessary for net job creation and economic growth. The mandate of the Lazaridis Institute is to help firms catalyze their growth and thus strengthen Canada’s economy. Recent Lazaridis Institute research found that reaching a globally competitive scale in the fast-moving technology sector requires executive leadership that understands how to grow sales, manage operations, access new markets and build appropriate organizational structures in a dynamic and global marketplace. Such talent is in short supply in Canada, largely due to a lack of anchor technology companies. These large-scale, fast-growth firms create experienced managers who are key to the success of the next generation of Canadian tech companies. With the support of organizations such as Deloitte and TMX Group, the Lazaridis Institute is positioned to be a global leader in connecting CEOs and company founders with the resources to empower them to develop and implement their own plans for growth. Both Deloitte and TMX Group will provide expertise to support research, tools, peer-to-peer connections, and the collaborative networks being developed by the Lazaridis Institute. The Lazaridis Institute is undertaking research to provide insights into the challenges facing the Canadian technology sector and, specifically, those tech firms that are scaling up. An assessment tool will be developed to identify the potential for scale up success among Canadian firms. CEOs of high-potential firms will be given access to a peer-to-peer council, visiting global experts, mentoring, and individual coaching on their scale-up plans. 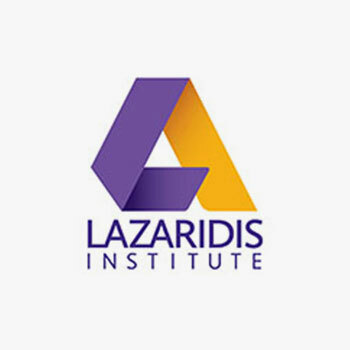 The Lazaridis Institute is hosting a networking reception in Toronto on April 19 to provide more insight into these relationships and information on next steps for the Lazaridis Institute. For more information please contact LazaridisInstitute@wlu.ca.